Welcome to Saturday 9. What we've committed to our readers is that we will post 9 questions every Saturday. Sometimes the post will have a theme, and at other times the questions will be totally unrelated. Those weeks we do "random questions," so-to-speak. We encourage you to visit other participants posts and leave a comment. Because we don't have any rules, it is your choice. We hate rules. We love memes, however, and here is today's meme. 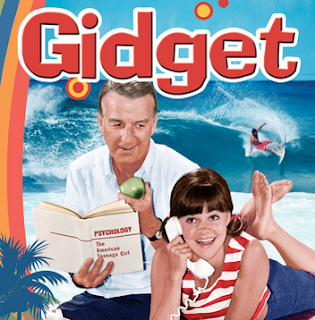 1) Gidget was a sitcom that ran only one season. Have you ever seen it? 2) Gidget is a high school student who is more interested in surfing and boys than in the books. When you were Gidget's age, was your top priority getting good grades? Or were you more involved in the social side of student life? 3) Gidget's father was nearly always unflappable when it came to his daughter's high-spirited shenanigans. Who is the coolest, calmest person you know? 4) Gidget spends as much time as she can at the beach, hanging out with her best friend Larue. Fair-skinned Larue doesn't share Gidget's passion for surfing and prefers to stay on the beach blanket, wearing a floppy hat that protects her from the sun. Are you a sun worshipper? Or, like Larue, are you careful about your exposure to the sun? 5) Gidget, the quintessential California girl, was created by Freidrich Kohner, an Austrian-born screenwriter. Can you think of another Austrian import? 6) Howard Greenfield and Jack Keller wrote this week's Gidget theme. They also wrote the 1960 hit song, "Everybody's Somebody's Fool." When is the last time you felt foolish? 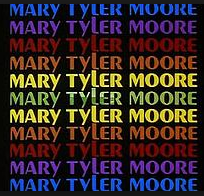 7) This is the show that introduced Sally Field. She went on to win two Oscars and four Emmy Awards. When you think of Sally, what role comes to mind? 8) Today Gidget is a grandmother. Sally reports that her grandchildren especially enjoy "sleepovers at Granny's." Where were you the last time you spent the night away from home? 9) Random question -- Describe your perfect lazy afternoon. 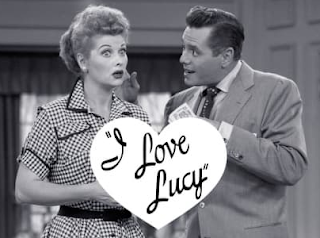 1) Before today, did you know that the "I Love Lucy" theme had lyrics? 2) Since its premiere in 1951, I Love Lucy has never been off the air. Are you a fan? 3) On the show, Ricky Riccardo supports his family by performing in a nightclub. Do you know anyone in show business? 4) Lucy and Ricky's best friends are Fred and Ethel, their landlord and his wife. Are you friendly with your neighbors? 5) One of the most popular episodes has Lucy and Ethel working on the conveyor belt at a chocolate factory. When did you last have chocolate? 6) Another famous episode has Lucy promoting Vitametavegimin. This tonic is made with vitamins, meat, vegetables -- and 23% alcohol. Do you read the ingredients statement before you take an over-the-counter medication? Or do you trust that it's safe because it's on the store shelf? 7) I Love Lucy was filmed before a live audience. Desi Arnaz (Ricky) always maintained he could identify the chuckle of his mother-in-law, who attended every taping. Do you know anyone who has a distinctive laugh? 8) The show ended when the Lucille Ball/Desi Arnaz marriage ended. Have you ever had to choose sides when a couple broke up? 9) Random question -- You must eat the same dinner, every day, between now and Labor Day. An identical menu, no deviation. What will you be having? 1) The song is about a woman who is in love with her boyfriend, but still attracted to someone else. Do you believe a woman can be in love with more than one person at a time? 2) What about the male of the species? Do you believe a man can be in love with more than one person at a time? 3) This lyrics were by Gerry Goffin and the music by Carole King. Carole was a favorite guest of David Letterman's. When she appeared on his show, he often commented on how impressed he was by her firm handshake. She credited her memorable grip to time spent milking goats on her Idaho farm. Have you poured goat milk on your cereal? Eaten goat milk yogurt or cheese? 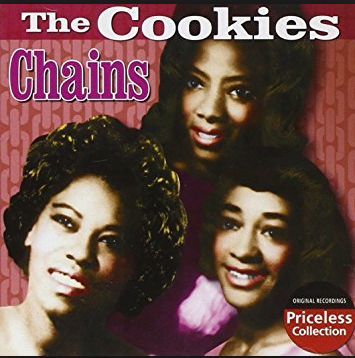 4) When it first came out, "Chains" was a favorite of 18-year-old George Harrison. It was at his recommendation that the Beatles added it to their early stage shows and even recorded it on their first album. When you were in high school, what was one of your favorite songs? 5) In 1962, when this song was released, epic movies were popular on the big screen. The Longest Day was three hours long, and Lawrence of Arabia ran more than three hours and a half hours. Today's most popular movies are nowhere near that long. Do you think the average American has a shorter attention span today than he did in 1962? 6) In 1962, First Lady Jacqueline Kennedy went on a two-week goodwill tour of India and Pakistan. She received a ceremonial "welcome necklace" in India. Made without jewels or precious metals -- just beads, sequins and paper -- it was valued by the First Lady for its delicate appearance and craftsmanship, and today it's on display at the John F. Kennedy Library. Tell us about a piece of jewelry that means a great deal to you, and why. 7) In Pakistan, Mrs. Kennedy made headlines by riding a camel. Have you ever ridden a horse, donkey, camel or elephant? 8) Also in 1962, the New York Newspaper Guild went on strike, so the nation's largest city went 114 days without a single daily paper. In 2018, how do you get your news? 9) Random question -- Complete this sentence: Before I go to sleep, I always ___________________________.